Cyber attacks are becoming more and more complex implying financial, reputational and legal impact on the affected organizations. Now that digital transformation is at stake, and the average cost of a breach is growing each year, businesses need a comprehensive approach to fighting advanced threats - from improved cloud security to managing reputational risks. Below are the top business security trends we see now and predict will continue to develop in 2019. With its many business benefits, moving to the cloud is a strategic digital transformation journey for enterprises. According to recent IDG data, cloud adoption appears to be in full swing, with 73 percent of enterprises claiming to have at least one application, or a portion of their computing infrastructure, already in the cloud. As the use of cloud rapidly grows, businesses are not going to put off adoption because of security concerns, but uncontrolled cloud expansion is the top security concern for more than half (58%) of CISOs in our recent survey. To support this rapid cloud adoption, it's vital that resilient security is also quickly and effectively implemented. It's crucial that businesses prioritize security - safeguarding data and workloads in the cloud environment, in addition to supporting the native security capabilities of a cloud platform. We also predict that small and medium-sized businesses will continue to embrace the cloud and they will require cloud-friendly solutions and services that provide protection without overheads, complexity and extra administration. Cyberattacks rising in quantity and complexity, growing regulations and digital transformation trends are forcing businesses to invest in cybersecurity - according to our global survey of CISOs, 56 percent expect their IT security budgets to grow in the next years. However, organizations, especially SMBs, are experiencing a lack of talent (62% of CISOs admit that) and may find it difficult to keep their in-house IT security stuff motivated and trained. Besides, they would want a clear SLA and also would prefer to move their IT security expenses from CapEx to OpEx which is easier for business. We expect these trends to drive further demand for managed security services in the new year. According to Gartner, the MSS market already grew 9.5 percent in 2017, reaching $10.3 billion in revenue. Services (including managed) will represent at least 50 percent of security software delivery by 2020. Although businesses outsource expertise to other businesses as needed, each business should be accountable for their own cybersecurity protection. In 2019, supply chain attacks on businesses will remain a major concern for corporate cyber protection. In the last couple of years, we saw a number of supply chain attacks such as AppleJeus, Olympic Destroyer, ShadowPad, and ExPetr. In these cases, businesses that were not the most interesting target for sophisticated threat actors were still affected in the attacks aimed at larger prizes. While both software and hardware supply chain attacks are already a reality, we believe to see more of them in the future - and organizations will need to come up with new approaches, including more strict requirements for service providers, hardware and software makers to reduce the risks. New approaches will also be necessary for the protection of developing technologies, such as cryptocurrency, which introduces new cyber threats to the world. Cybercriminals and fraudsters are keen on attacking new and developing technologies and cryptocurrencies are no exception - according to our estimates, they gained $10 million just through social engineering tricks in the last year. For responsible players in the crypto market, cybersecurity will not only become a way to protect their business and customers, but it will also be a strong differentiator in the industry flooded by fake projects and schemes. The key to strong cybersecurity strategy is predicting the potential outcomes and preparing for them all. It's not a matter of if, but when, a cyber attack will occur. Managing the risk and realizing the possible consequences up front - from the cost of a breach to the potential reputational damage - will become even more important in 2019. Last year alone, we saw several cases of when massive cyber breaches went even worse because of how the incident response was handled, especially the communication part of it. Examples of Equifax and Uber are still fresh in the memory. Our global survey of CISOs showed that IT security leaders now consider reputational damage of a breach as the most critical one: even more critical than the direct financial impact. This is not surprising considering that reputational losses may lead to even greater financial loses in the end, not reduced to stolen money or worth of the data lost. We expect to see more attention to reputational aspects of breaches and predict that it will drive the demand for expertise on how to not only recover and understand a data breach once it occurs, but best practices for businesses to establish the right processes of communications after a breach has taken place. 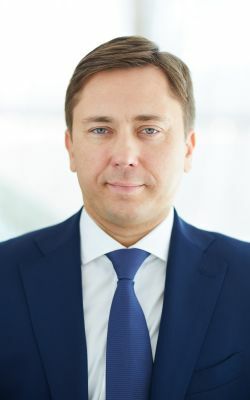 Maxim Frolov is the Managing Director in North America and Vice President of Global Sales. Frolov's regional responsibilities, include leading North American sales, marketing, and business development functions and focus on achieving the company's objectives for continued business growth in the region. Frolov has over 20 years of experience in the IT industry, with a solid track record across multiple businesses and geographies. He is a graduate from the Space-Engineering Academy in St. Petersburg, Russia.